Take over Lautech, SUG president pleads with FG – Royal Times of Nigeria. 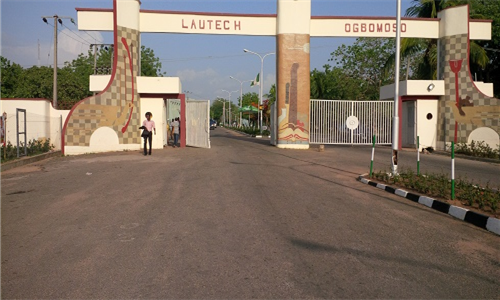 Ladoke Akintola University of Technology (LAUTECH), Student Union President, Debo Balogun has urged the Federal Government to take over the institution. In an interview with the NAN, Balogun pleaded with the Federal Government to intervene into the crisis rocking the institution. He narrated how the crisis started in 2016 and has continued to affect the students. He said; “The sojourn of the onetime best state university for two consecutive years into an irreversible downfall began sometime in June 13, 2016. “The school management had sent a mail to all students mandating us to proceed on an indefinite mid-semester break without examination and no date of recall was fixed in the said mail. “After the compulsory mid-semester break, the non academic union went on industrial action which prompted all administrative offices to be locked up. “This protest took us to the office of the governor of Oyo state, Mr Isiaka Ajimobi on Jan. 9, demanding for the unconditional resumption of academic activities in the school. “Among other demands during the protest was for the governor to address the long lasting solution to the issue of poor funding and the log of debts being owed by Osun and Oyo governors. “The governor of Oyo state promised to liaise with his Osun counterpart to ensuring a lasting solution to the problem. “He then promised to make available the sum of N580 million for the immediate payment of January and February salary while the remaining should be added by the school management,”. He said the governors of Oyo and Osun states have refused to settle the issues, calling on the federal government to speedily address them.